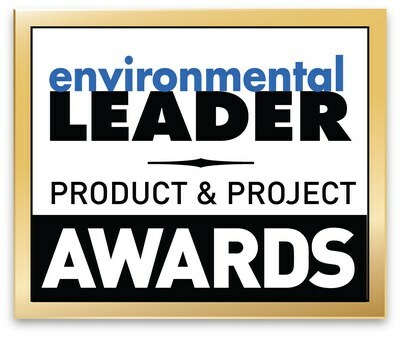 ANDOVER, Mass., May 17, 2018 /PRNewswire/ -- Schneider Electric, the global specialist in the digital transformation of energy management and automation, today announced that it has received accolades in the Environmental Leader and Energy Manager Today Product & Project Awards. Its EcoStruxure™ Ready energy-efficient cooling solution Ecoflair Indirect Air Economizer was awarded Top Product of the Year, while its building automation partnership with Florida-based health system Watson Clinic received a Project of the Year Award. These solutions and services are considered by judges as exemplary offerings from Schneider Electric within their industries. Schneider Electric's Ecoflair Indirect Air Economizer is a cost-effective and efficient data center cooling solution that moves cooling from the data center floor to the facility exterior. Designed for roof-top or on-grade deployments, Ecoflair is available in 250kW and 500kW modules. The flexible design offers greater customization based on cooling requirements and environmental or climatic conditions, modular construction for simplified deployment and installation and increased serviceability and lowered maintenance costs. "With the increasing development of data centers worldwide and the concurrent energy and water demand, this is a product that assists in reducing the related environmental impact," said one judge of Ecoflair. Another noted Ecoflair's evaporative cooling technology allows for significant energy and water savings in a variety of applications. In addition to its Ecoflair product recognition, Schneider Electric was honored with a Project of the Year award for its work with the Watson Clinic, a local network of general and specialized medical facilities in Central Florida. In 2001, Watson Clinic upgraded its building management system to Schneider Electric's latest, which provides easy operation, reporting and monitoring on building systems, as well as ensured air quality and HVAC performance to ensure patient safety and satisfaction. Watson Clinic then made a commitment to upgrade its building management systems on a regular basis, including regular building automation upgrades and improvements for more than a dozen buildings, as well as upgraded controls and software for any new buildings or major renovations. This has allowed Watson Clinic to save 30 percent in energy and operations costs over the years that the partnership has been in place. One Environmental Leader Project Awards judge said of the project, "This was a great concept focused on patient comfort, which also offered significant benefits beyond the initial project scope, such as reduction of labor to answer cooling and heating complaints. I hope this system is rolled out to medical facilities worldwide." Another judge added that the project is a standout example of utilizing HVAC systems and building management systems to provide immediate response to customer needs while meeting regulatory requirements and saving costs, achieving results that would have been very difficult to achieve with standard building management systems. The Environmental Leader and Energy Manager Today Product & Project Awards is a program recognizing excellence in products and services that provide companies with energy and environmental benefits, or in projects implemented by companies that improved environmental or energy management and benefits to the bottom line. Scores were determined by a panel of independent judges headed by Peter Bussey of LNS Research and also including judges from: Ball Aerospace, Best Buy, Black Ink Consulting, BSI Group, CandA, Caesars, Consultant Ben Larkey, Harbec, Kellogg, LNS Research, Marriott, Miller Coors, Nike, Novartis, Sears Holdings Corporation, Strategic Sustainable Consulting, Sustridge, Tesla, Wellborn Cabinet and Vincit Group. With rapid advancements and a continuous rate of change in the field, sustainability and energy professionals have a notoriously difficult time knowing what products to choose to help their companies increase energy, environmental and sustainability performance. The Environmental Leader and Energy Manager Today Product & Project Awards give companies a solid base of products, vetted by experts, from which to choose, as well as a variety of successful projects to illustrate how sustainability and energy management is helping companies improve.